The Palestinian Journalists Syndicate (PJS) condemned as "racist" an Israeli bill that seeks to criminalize the record and photograph of Israeli soldiers on duty. The PJS said in a statement that the bill would "legitimize the Israeli occupation to commit more crimes." "[The bill] heavily attacks the press profession and legitimizes the criminal practices of the Israeli Occupation Army against the Palestinian people.
" It is an attempt to escape punishment and international justice, "the statement added  The bill was submitted to the Knesset, the Israeli parliament, last Thursday and supported by Defense Minister Avigdor Lieberman. 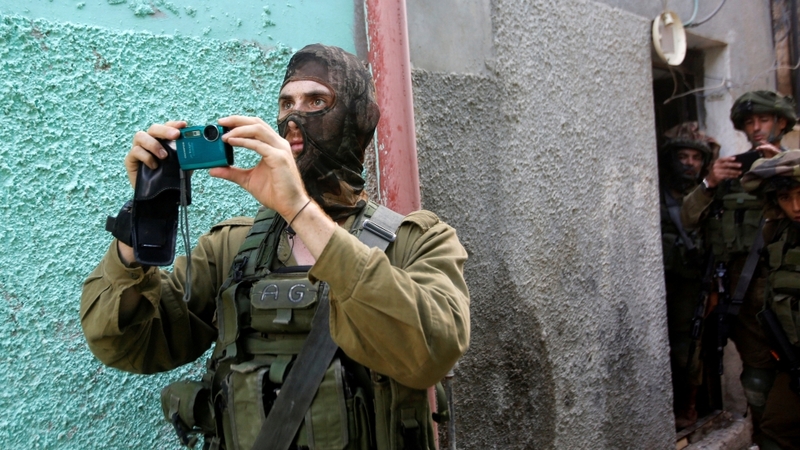 The proposed legislation entitled "Prohibition of Photographing and Documenting IDF Soldiers" criminalizes photographing troops on duty. "Anyone who has filmed, photographed, and / or shot soldiers while working wi The intention to undermine the minds of Israeli IDF soldiers and residents is being sentenced to five years in prison," the Bill of Robert Ilatov, a member of the Knesset and the chairman of the right-wing party Yisrae l Beiteinu. The bill's explanatory notes state that Israel has "witnessed a worrying phenomenon of documenting Israeli soldiers for years"
"This was done through videos, stills and sound recordings of anti-Israeli and pro-Palestinian organizations such as B & # 39; Tselem, Machsom Watch Women, Breaking the Silence, and various BDS organizations. " Ilatov said it was time to end" this absurdity. " The law was also criticized by the liberal Israeli daily Haaretz. I have described it in an editorial published on Sunday as "serious damage to press freedom and the right of the public to know". "The public has a right to know what the reality is and, above all, what the" People's Army "does on its behalf and on its behalf," the editorial said. 9659004] The PJS argued that if the law is approved, it will give Israeli occupation legitimacy will commit more crimes. The group called on the United Nations and international press freedom institutions to "exert pressure on the occupying power to abide by international laws and conventions and protect press freedom to document the truth."